It is official. 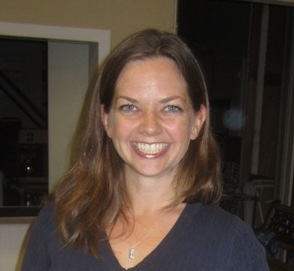 Gretchen Newsom, the president of the Ocean Beach Town Council, is in the race to be appointed the interim councilperson for the San Diego City Council seat being vacated by Mayor-elect Kevin Faulconer. After receiving encouragement from a number of community leaders and resources, including the OB Rag, Gretchen decided to throw her proverbial hat in the ring for the appointment. She already has the endorsement of the advocacy group Run Women Run and she told the OB Rag that she anticipates the endorsement of the Point Loma Democratic Club. Gretchen Kinney Newsom’s interest in the job was piqued after Frank Gormlie at the OB Rag ran a speculative article about potential candidates for the job. In addition to her position as OB Town Council President, she works as Principal and Director of Communications and Legislative Affairs at LeSar Development Consultants (LDC). The LaSar in the company name just happens to be Toni Atkins’ significant other, which might (or might not) indicate lots of good local connections. For an OB Rag profile of Newsom, go here. Newsom has also been active in campaigning D2 candidate Sarah Boot. And the support of Run Women Run gives her candidacy a strong boost. Gretchen is perfect. The Democrats MUST have a new public face, and she is the perfect start. This is great news !!! Good luck to Gretchen and let’s hope the powers-that-be see what OB sees in Gretchen. Frank, is there any input that we can present to the city council to show who we OBceans support ? Petitions, letters, online comments for starters. Readers: If you live in District 2, please take part in our new poll over on the sidebar.